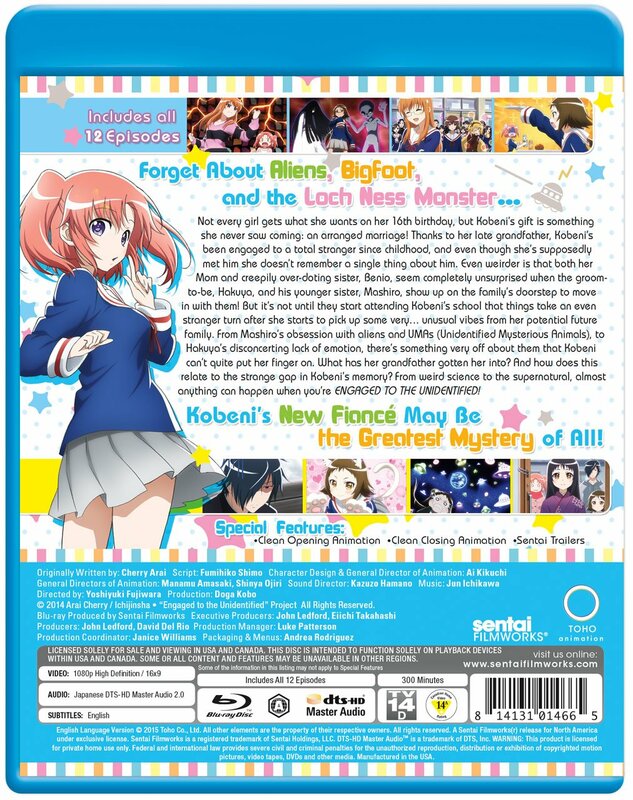 Plot: Not every girl gets what she wants on her 16th birthday, but Kobeni’s gift is something she never saw coming: an arranged marriage! Thanks to her late grandfather, Kobeni’s been engaged to a total stranger since childhood, and even though she’s supposedly met him she doesn’t remember a single thing about him. Even weirder is that both her Mom and creepily over-doting sister, Benio, seem completely unsurprised when the groom-to-be, Hakuya, and his younger sister, Mashiro, show up on the family’s doorstep to move in with them! 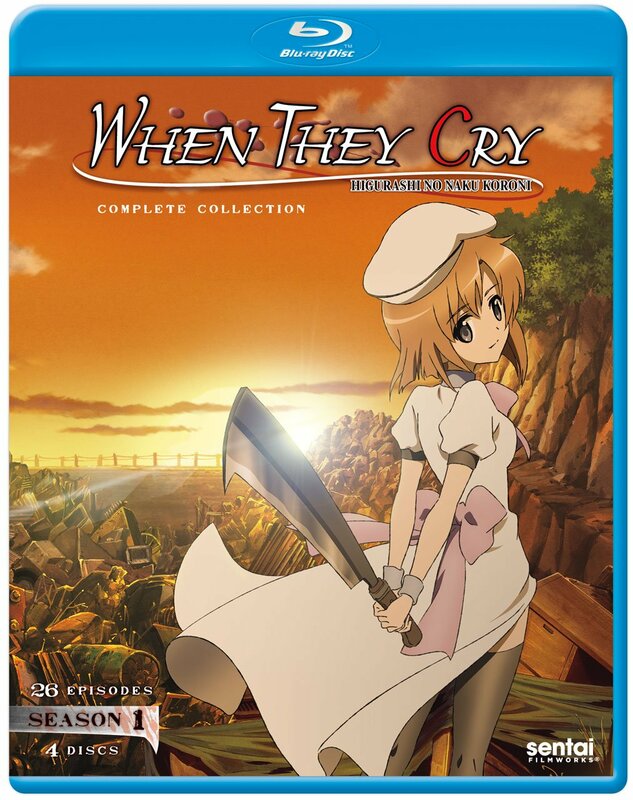 But it’s not until they start attending Kobeni’s school that things take an even stranger turn after she starts to pick up some very… unusual vibes from her potential future family. 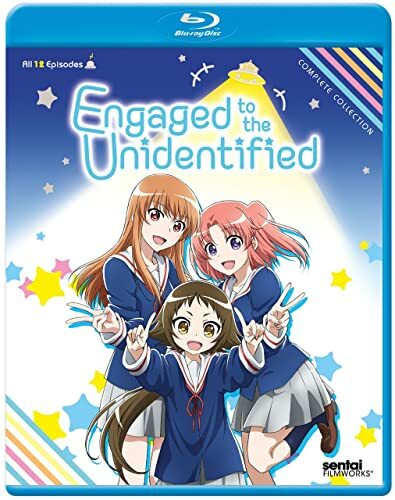 From Mashiro’s obsession with aliens and UMAs (Unidentified Mysterious Animals) to Hakuya’s disconcerting lack of emotion, there’s something very off about them that Kobeni can’t quite put her finger on. What has her grandfather gotten her into, and how does this relate to the strange gap in Kobeni’s memory? Plot: Yui Komori has spent her life sheltered by the Church and the man she thinks of as her father, but now she’s going to a new home and there’s a very different kind of family waiting for her. 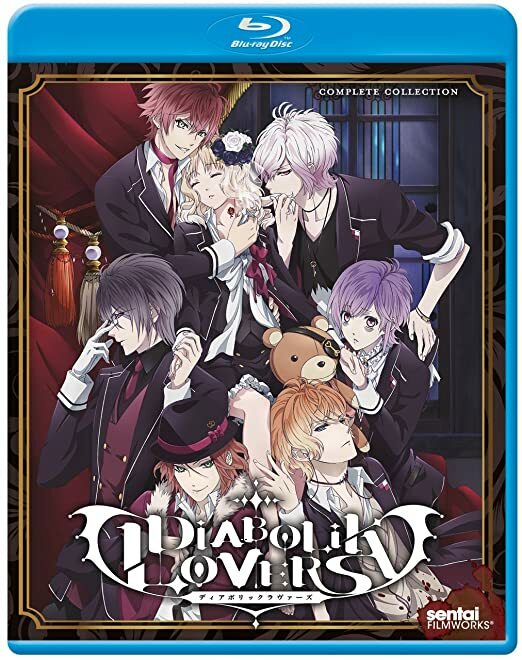 To her dismay, she discovers that she’ll be living with six very attractive young men, and not a single one is human! If trying to keep an entire brood of vampires at fangs’ length wasn’t stressful enough, there are even more sinister forces at work, threatening not only Yui’s life, but her very soul. Drawn into her wildest fantasies, or perhaps her most salacious nightmares, one thing is certain: Yui’s life will never be the same! Plot: When he set off for the Capital, all Tatsumi wanted was a way to make money. Instead, he finds himself rescued from a fate worse than death by a group of assassins known as Night Raid, and thrust into the middle of a bloody revolution. On the one side: Prime Minister Honest, his secret police, elite squad of assassins, and the armies of the Empire.On the other: Night Raid and a handful of rebels desperate to overthrow the brutal regime of Honest’s puppet emperor. Leveling the playing field: the Imperial Arms, a legendary set of unstoppable weapons created in the distant past. 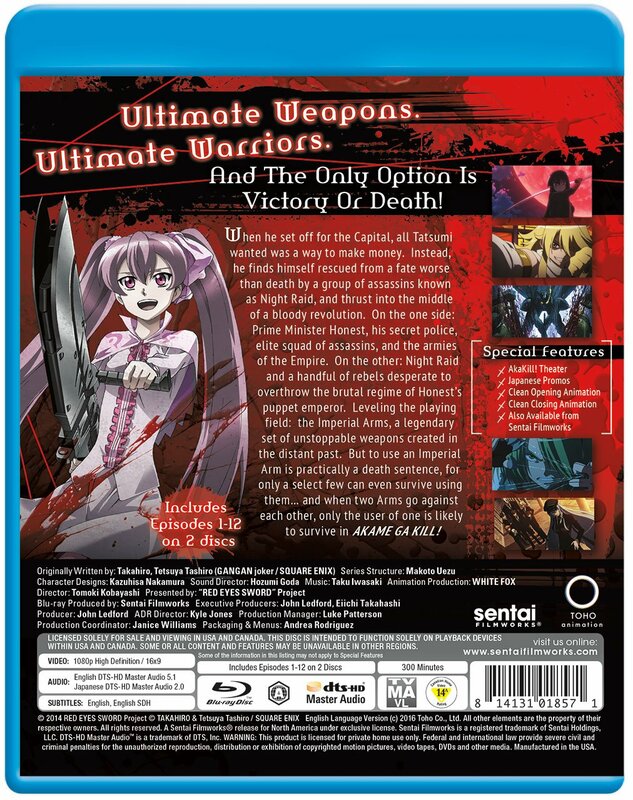 But to use an Imperial Arm is practically a death sentence, for only a select few can even survive using them… and when two Arms go against each other, only the user of one is likely to survive in Akame ga Kill! 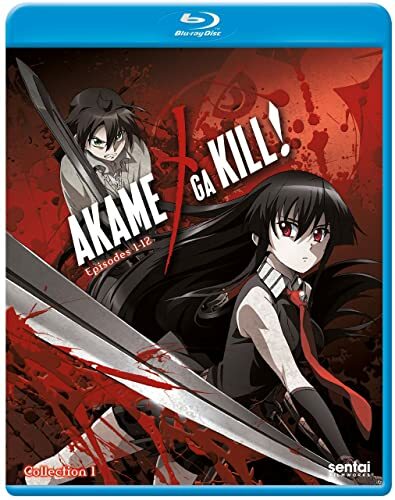 Akame Ga Kill – Collection 1 has been released into the UK on DVD, Blu-ray and Collectors Edition Combo Pack by Animatsu Entertainment and offers the same type of content found within the US release. You can also read our review on this UK release here. Plot: You know how the story goes: girl crushes on guy, girl confesses feelings to guy, guy mistakes confession for a job application. Okay, maybe that’s not how it usually goes, but that’s what happens when Chiyo Sakura finally gets up the nerve to tell her classroom crush Nozaki how she feels. Since she doesn’t know that he’s secretly a manga artist who publishes under a female pen name, and he doesn’t know that she doesn’t know, he misunderstands and offers her a chance to work as his assistant instead of a date! But while it’s not flowers and dancing, it is a chance to get closer to him, so Chiyo gamely accepts. 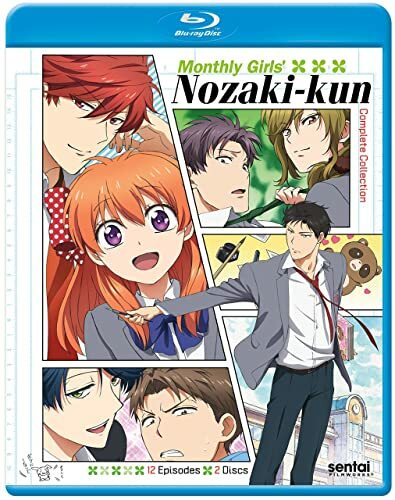 And when Nozaki realizes how useful Chiyo can be in figuring out what girls find romantic, he’ll be spending even more time with her “researching” while remaining completely clueless. Could Chiyo’s romantic frustration possibly get any more drawn out of proportion? The answer will be profusely illustrated in MONTHLY GIRLS’ NOZAKI-KUN! Plot: Moving to the picturesque town of Hinamizawa is going to be a big adjustment for Keiichi. For all it’s beauty, it’s also tiny… so small that there’s only one school, one where most of the students have known each other all their lives. Fortunately, he soon meets four girls… Rena, Mion, Satoko, and Rika, who’re willing to let the new guy in town join their afterschool club. And for a while, things seem wonderful. Until Keiichi starts discovering strange things, like the project manager for a controversial dam project being found dismembered five years ago. As he digs deeper, there are whispers and rumors of other murders and disappearances, stories of a town curse, and mysterious rituals. And then people he knows start to die. What secrets have the people of Hinamizawa kept hidden from the rest of the world? And could his new friends somehow be involved? The shocking answers will be revealed WHEN THEY CRY! Plot: Hino Akiharu lost his parents when he was small and was adopted into his uncle’s family. But he noticed his uncle is after the inheritance of his parents, so he decides to enter a boarding school, Hakureiryou high school. However his delinquent boy-like appearance frightens the girls, who make up the majority of the students. Being unable to get along with the classmates, Akiharu meets his childhood girlfriend Saikyou Tomomi. Plot: A thousand years after the alien Gauna destroyed the Earth, a small remnant of humanity still fights on to survive, fleeing on the gargantuan asteroid-based spaceship Sidonia. But centuries of flight and warfare have changed mankind in incredible ways: genetic engineering has allowed humans to photosynthesize like plants, reproduction occurs through cloning, and a third gender has been created to balance the population. Even though it’s been a century since the last encounter with the Gauna, military service is mandatory, with all those able enough enlisted to pilot the Garde robots that stand as Sidonia’s front line of defense. For Nagate Tanikaze, whose grandfather secretly hid him in the forgotten bowels of the asteroid, it’s a strange new world as he’s forced to come to the surface and join the ranks of defenders. Yet his recruitment comes just in time, for the Gauna have suddenly reappeared, and what could be man’s last battle will require every resource humanity has left. And what no one knows, yet, is that Nagate is not exactly what he seems, and a secret buried in his past may change the fate of all mankind! 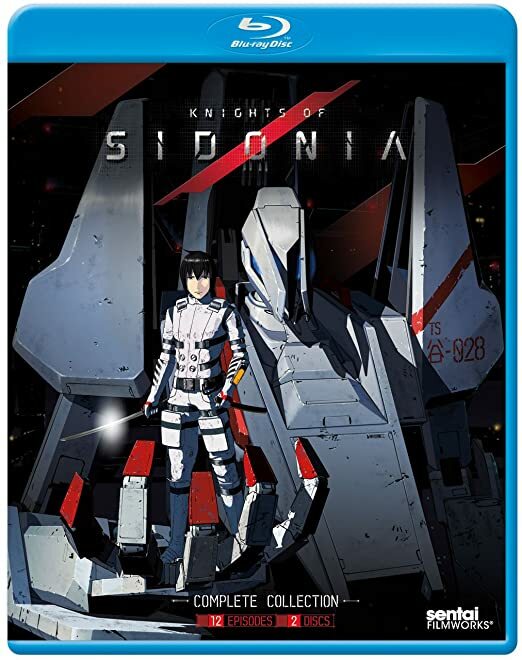 Animatsu Entertainment will be releasing Knights of Sidonia as a Collectors Blu-ray later this year; and more importantly it will feature the ‘exact’ same disc content as the US release. 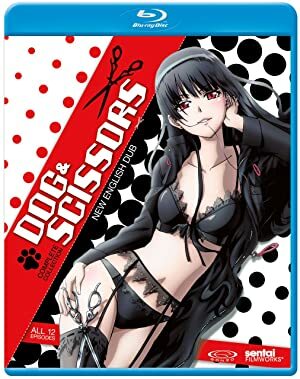 Plot: Get ready to rock, roll and duck deadly spells all night as Dating Game master (and now real-life romance wizard) Keima Katsuragi and his spirit-hunting partner Elsie are dragged kicking and screaming into their wildest set of adventures yet. 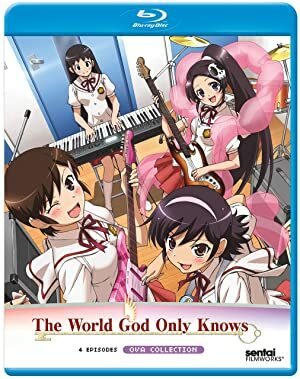 Things get off on a strange foot when Chihiro convinces Elsie, Ayumi and Miyako to form a band. Unfortunately, they’re really not very good and their quest to get rehearsal space from the school somehow escalates into a challenge to score perfect 100s on their English tests. After coaching them through that, Keima should have earned a peaceful vacation, but instead of spending the time playing dating games, his plans are seriously derailed by a forgotten childhood friend, a rogue team of Hunters, and some very nasty cases of possession by evil spirits. Finally, the magic goes from dark to light when the only thing that can save idol singer Kanon’s fans is for her to become a REAL magical girl! 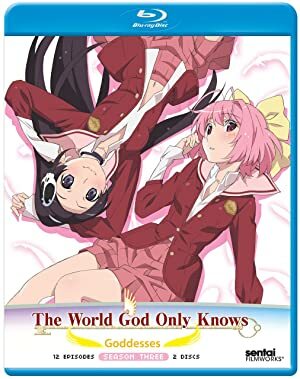 Plot: Dating Game master Keima Katsuragi’s skills at conquering hearts in the virtual world have translated into real life so well that he and Spirit Hunter associate Elsie have already captured 14 of the runaway spirits attaching themselves to the souls of different girls. But is even the God of Conquests up to the task of romancing six REAL Goddesses? 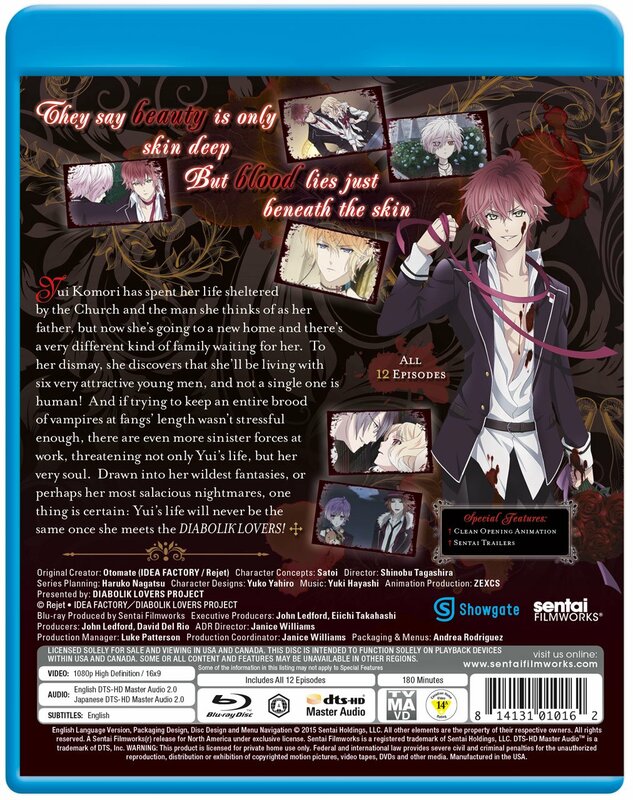 – Can be made playable on Region B devices (including PS3 and PS4) by having the country code set to America. Plot: Harumi Kazuhito could spend days at a time with his head buried in his beloved books, and little would make him happier than perusing the pages of his favorite author. 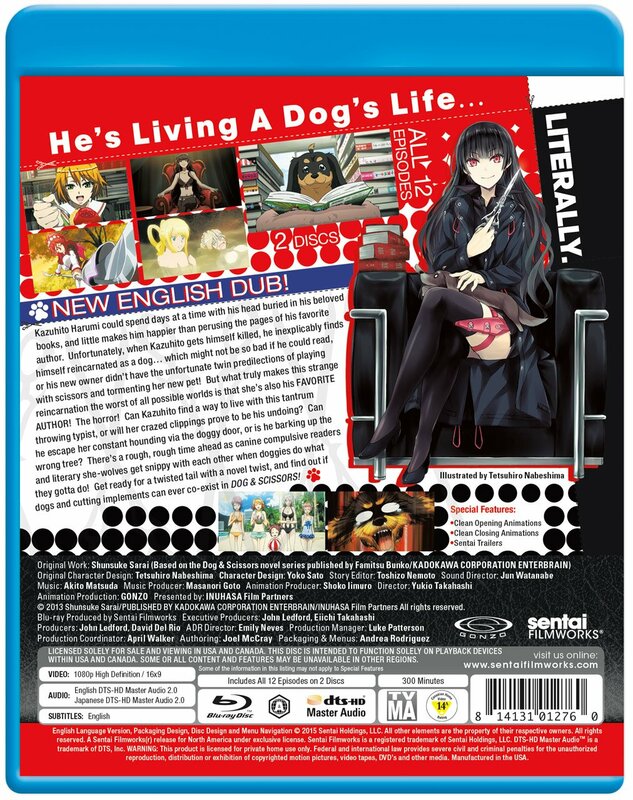 Unfortunately, when Harumi gets himself killed he inexplicably finds himself reincarnated as a dog… which might not be so bad if he could read, or his new owner didn’t have the unfortunate twin predilections of playing with scissors and tormenting her new pet! But what truly makes this strange reincarnation the worst of all possible worlds is that she’s also his favorite author! The horror! Can Harumi find a way to live with this tantrum-throwing typist, or will her crazed clippings prove to be his undoing? Can he escape her constant hounding via the doggy door, or is he barking up the wrong tree? There’s a rough, rough time ahead as canine compulsive readers and literary she-wolves get snippy with each other when doggies do what they gotta do!